Note: The Roundhouse is closed. 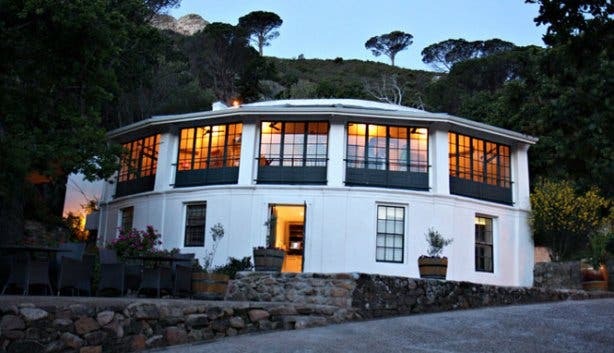 But chef Luke Dale Roberts has announced that he's opening up something new called Salsify in this spot in October 2018. 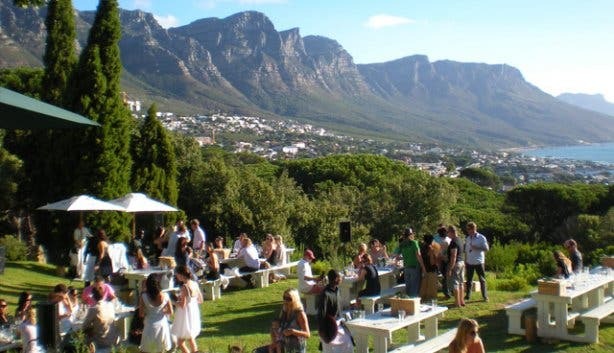 The Roundhouse Restaurant commands first prize for position, a haven in the greenery of Table Mountain above busy Camps Bay, with elevated views that stop you in your tracks. In the 1800s Lord Charles Somerset used the building as his hunting lodge. Minimal decor in the restaurant is unfussy, classic and classy. 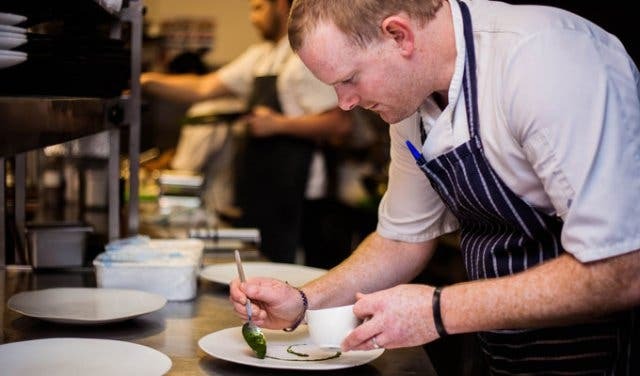 Chef Dylan Laity spent four years at Aubergine getting a solid foundation before becoming sous chef at the Roundhouse, and a year later was promoted to executive chef. Humble, he claims that the success of the restaurant is a team effort – “It is my job to stimulate and motivate my team to cook the food that I have thought and dreamt about.” Service is slick and Dylan bravely claims that people are more important in creating a good restaurant experience than the food. Inspired by his passion and love of food, stimulated by books, the world of food and YouTube, he simply wants diners to enjoy his food, and is not chasing awards. “We are just doing what we love to do.” When he is not cooking he is surfing, believing that balance, on the plate and in life, is of utmost importance. It clears his head and gives him space to think. Dylan’s ingredients of choice are seafood or anything acidic, and he considers truffles and caviar a real treat. The first three dishes on the eight-course tasting menu really resonate with him. The watermelon with quail egg, balsamic vinegar and aged parmesan illustrates his creative genius. The watermelon is cooked and smoked, and cooked again to replicate a beef carpaccio, ideal for vegetarians. 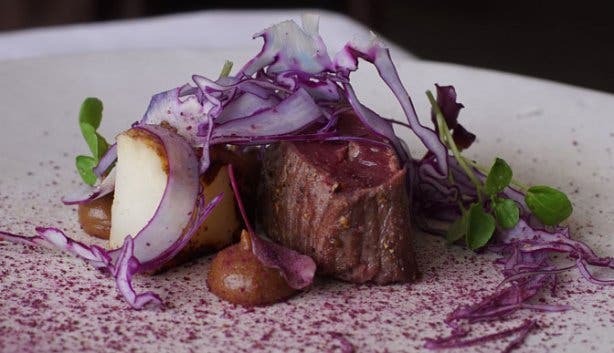 The salted ostrich with walnut, blueberry, coriander seed and purple carrot comes a close second, the yellow fin tuna with kohlrabi, peas and gelled bonito stock is equally adventurous. Dylan does not change the menu for the sake of it, but allows dishes to evolve. 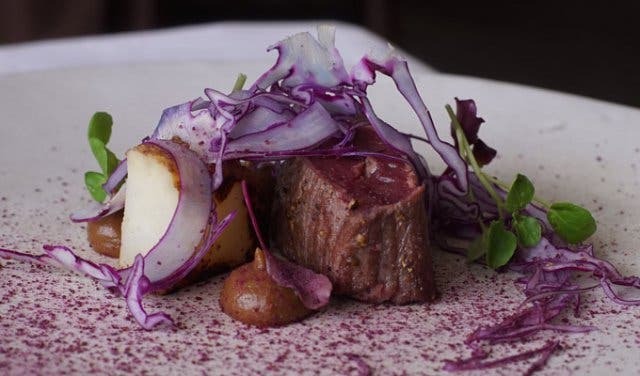 He takes advantage of the seasons by brining and fermenting ingredients to change their flavour profiles, and to be able to present it out of season with a different slant. His cuisine is natural with maximum respect for the product. His eyes light up when he talks about his travels to Asia. 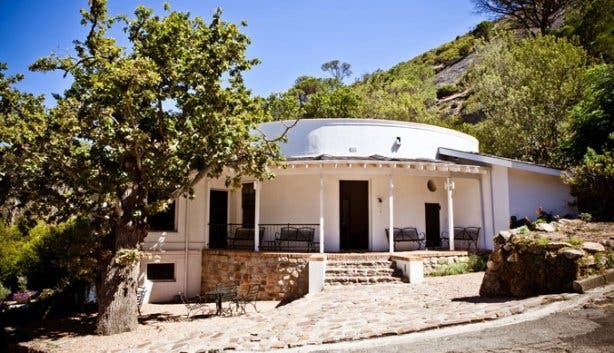 For a special occasion this chef stays at home, chooses to braai and simply adds bubbles! 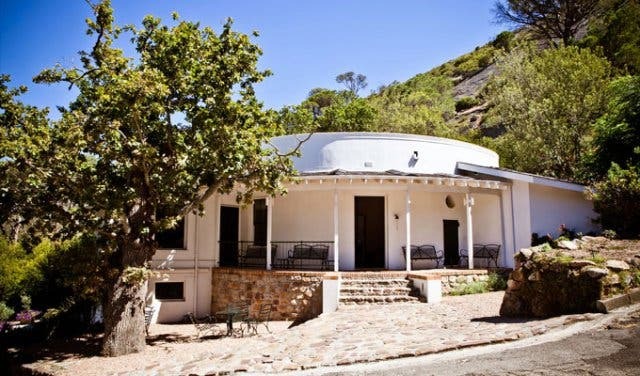 Try Rumbullion below the Roundhouse, where children can play and parents can relax with the calming view of the ocean over pizzas, picnics and other light meals.